Welcome to the seventh and penultimate in our ‘Off the Beaten Track‘ Cambodia series. As mentioned in the first of this series – Off the Beaten Track Cambodia – Kulen Mountain Day Trip, whilst living in Cambodia we tried to visit and write about a new off the beaten track destination every month. We hope this will encourage people to spend longer in Cambodia to experience what it has to offer away from the tourist trail. In November, Andy and I took my Dad to Kampot and Kep. Despite being a popular getaway for those in the know (i.e. mainly expats living in Phnom Penh and Siem Reap) the towns of Kampot and Kep, in southwest Cambodia often get over-looked by travellers. Close to each other, about 30 – 45 minutes apart depending on your mode of transport, it’s possible to stay in either town. However, whenever we’ve visited we’ve chosen to stay in Kampot. As they’re so close and share many nearby attractions I’ve covered both in this post. Kampot itself, with its landmark Durian roundabout, doesn’t have a huge array of things to see and do, yet this is part of its charm. The chilled vibe makes it the perfect place for some downtime. If, and when you get bored of doing not a lot, there’s always the option to venture outside of Kampot, where there’s plenty to keep you occupied. For us, this included trips to nearby Kep with its giant blue crab statues (just offshore and on the roundabout) and Koh Tonsay (Rabbit Island). Kampot’s a sleepy town, known for its quiet setting alongside the Praek Teuk Chhu River and a riverside walk is a relaxing way to while away an hour or two. Time it for dusk and you may be treated to a stunning sunset over the river and surrounding hills. This is also the best time for people watching as many locals also go for an evening stroll, speed walk, or jog. Despite not being the nicest beach ever, Kep Beach is very popular with locals. Again a walk along it is a great way to see and join local and holidaying Cambodians enjoying their spare time. A word of warning, if you visit during or either side of a public holiday, such as Water Festival like we did expect it to be heaving and full of rubbish. Not a particularly enjoyable experience, but when we returned the next day and it had been cleaned up. It was peaceful and quiet and could have been mistaken for a completely different place. The best way to see most of the sights around Kampot and Kep is via a half or full day countryside tuk tuk tour from either town. In addition to the things to see and do that I mention below, the actual journey through the beautiful Cambodian countryside itself is amazing, if a little bumpy. You get to see rural Cambodia and it’s wonderful people at their best! Dad and I took a full day tour which cost us $30 USD (£21.17 GBP). 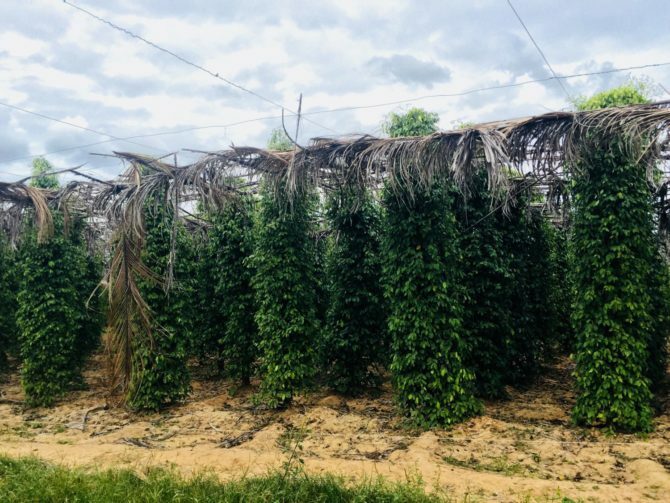 Kampot is most well known for its world-renowned Kampot Pepper. This pepper is produced in several hundred organic farms set at the base of mountains in the area. 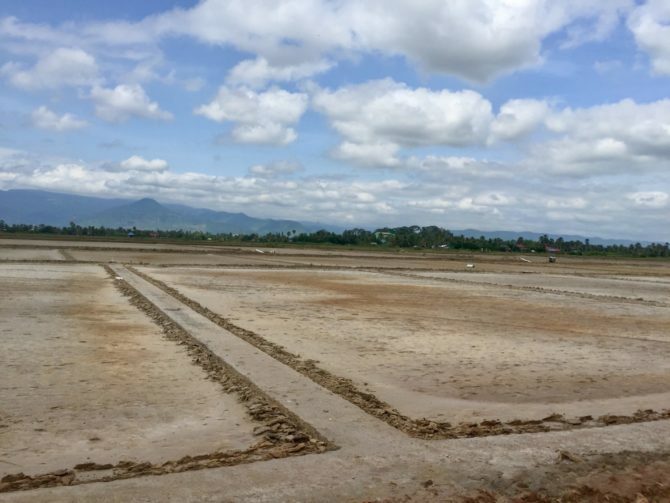 There are several farms you can visit ranging from small family run ventures such as the one Andy and I visited during our first time in Kampot nine years ago, all the way to huge plantations stretching more than 20 hectares. This time Dad and I visited La Plantation because this was where our tuk tuk driver took us. It was set up and is run by a French couple who train and employ many locals. The plantation has a beautiful countryside setting with views over the plantation, hills, lake, and Bokor mountain. They offer an interesting free presentation about the pepper growing process, including a taster of each type of pepper. Afterwards, there’s a free guided tour of the plantation which again we found really interesting. The presentation takes place in a huge wooden Khmer style house on stilts. This also houses a restaurant and a gift shop where you can buy a refreshment, a bite to eat, or a peppery souvenier. There are several salt flats between Kampot and Kep area and your tuk tuk driver will be sure to know which one to take you to. Dad and I visited one during our tuk tuk tour but it was, in all honesty, disappointing, as it was the wrong time of year. It has to be hot and sunny for salt harvesting as the sun is needed to evaporate the water leaving the salt behind. We visited at the end of the rainy season so there really wasn’t much to see. However, Andy and I have visited before in the hot season during the salt harvest and it was in heaped in sparkling white piles as far as the eye could see. I’d recommend only adding this to your itinerary if you visit in the dry season. You’ll then be able to observe the workers gathering the salt into piles, loading it into woven baskets, then carrying the heavy loads to nearby warehouses. It’s a fascinating process, but extremely labour intensive for the workers who toil all day under the hot sun. Located about 8 km northeast of Kampot along dirt roads is Phnom Chhnork Cave which contains the remains of a brick temple. A staircase of over 200 steps leads up the hillside then down into the cave which is full of stalagmites and stalactites. One formation vaguely resembles an elephant and another a calf. It’s possible to climb through the main cave to a smaller one but you’ll need a head torch and trainers of walking shoes with good grip. There’s likely to be several kids hanging around who will happily guide you through the caves for $1 USD (£0.71 GBP) or so. Dad and I didn’t stop at the cave, mainly because Andy and I had been before and I realised then that clambering over slippery, razor-sharp rocks, through small, tight spaces in the pitch black really wasn’t for me. If you get claustrophobic or aren’t relatively fit and mobile I’d suggest giving this a miss. One of the main reasons to visit Kep is to visit the buzzing Kep Crab Market located near the seafront just as you enter the town. Try to visit the market in the early morning when you’ll be able to watch the locals bringing in their catch. They wade just offshore filling plastic baskets full to the brim with freshly caught blue crabs. The crabs are then sorted to be sold at the Crab Market and to restaurants. Dad and I only gave the Crab Market a fleeting glance as we were ravenous and I was keen to take him to my favourite Restaurant to try the famous Kampot Pepper Crab instead. However, Andy and I have been to the market a couple of times previously and have always found it fun. We like to wander around looking at the range of fresh (and dried) seafood on offer. 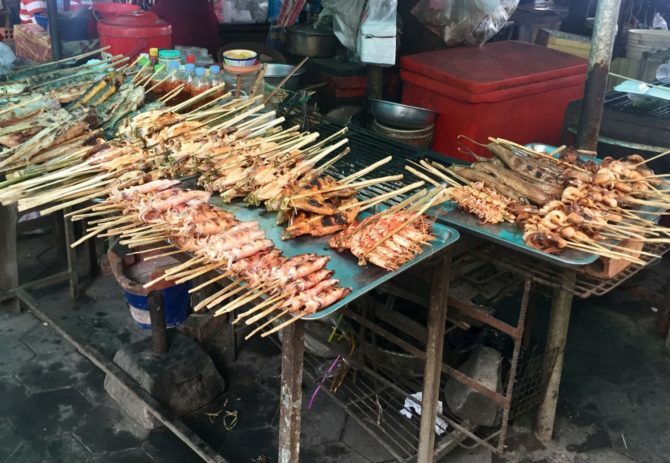 You can even buy what takes your fancy and have it barbequed or fried to eat there and then! If seafood isn’t your thing there are lots of other food options you could try instead. 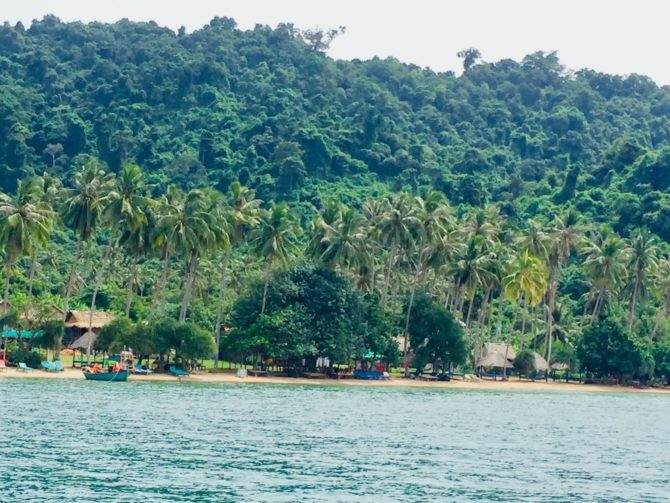 A short way off Kep but also accessible from Kampot is the island of Koh Tonsay or Rabbit Island as it’s also known due to its shape. It’s one of the least visited Cambodian islands and is extremely rustic, with just a few beachfront restaurants. You won’t find any wifi there and there isn’t much to do other than chill on the beach or in a hammock with a book. Unless of course, you feel like exerting yourself a little for a refreshing dip or snorkel in the sea to cool off. It’s the perfect place to slow down and relax for the day. You could even make a mini-break of it if you’re happy to rough it a little in the beach hut accommodation set behind the restaurants. Community boat that leaves Koh Tonsay Pier in Kep at 9 am and 1 pm each day and returns at about 3 pm – check time. You can buy a ticket for this at the Community Boat Office in Kep for $7 USD (£4.94 GBP) return. Private boat that will take you and return you at any time before 5 pm for $25 USD (£17.64 GBP) return per boat. The boat can be booked and paid for at a little shack at the start of Koh Tonsay Pier and can fit six foreigners or eight locals. This is more flexible than the community boat and cheaper for four or more people. Crab Shuttle from Kampot which leaves Kampot, opposite Rikitikitavi at 9 am. It reaches Kep at 11:30 am and arranges for you to join the community boat at 1 pm. As per option one you’ll return on the community boat at about 3 pm before joining the Crab Shuttle back to Kep. This costs $18 USD (£12.70 GBP) per person and can be booked via the Crab Shuttle Facebook page. The boat to Koh Tonsay was easy to arrange and the island almost deserted as the domestic tourists visiting during Water Festival had left. We spent the majority of the day lazing on the beach, reading and drinking fresh coconuts. A couple of times Andy and I left Dad to snooze whilst we swam and snorkelled. The snorkels for rent weren’t in a particularly good condition so if you have your own snorkel and mask, definitely take it along. Watching a local fishing boat come in with fresh fish and crabs reminded us to interrupt our relaxing for lunch. We ate at the nearest restaurant and ordered a delicious seafood feast. We had grilled king prawns, a whole fish with garlic and lemongrass, and fried crab with Kampot pepper. They were only $5 USD (£3.53 GBP) each which was good value for the portion size and freshness of the seafood. 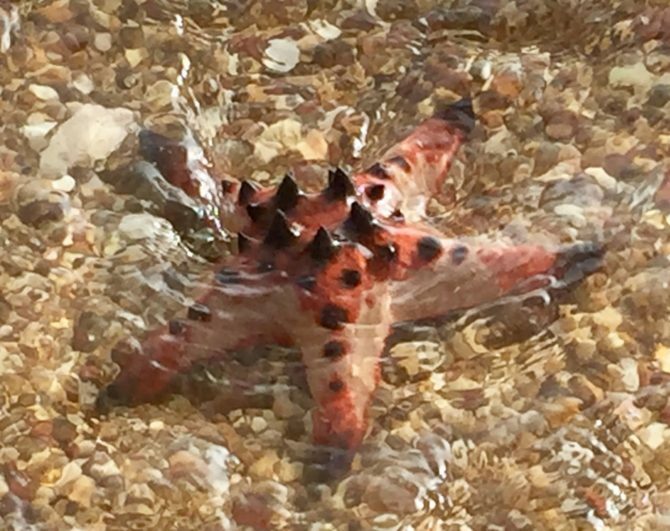 Later Andy and I took a short trek through the jungle to another beach where Andy found the biggest starfish I’ve ever seen! We had a fantastic day out on Koh Tonsay; if you have the time I’d highly recommend at least a day trip there, if not longer. It’s one of my favourite things to do around Kampot and Kep. Nowadays Kampot has quite a good selection of places to eat and drink, more so than the smaller towns of Kratie and Kampong Cham that I visited earlier in the year. We tried a few out during our stay but sadly only had the chance to eat in one place in Kep during our short visit. Rikitikitavi – set on the riverside road Rikitikitavi offers great river and mountain views from its first-floor seating area. 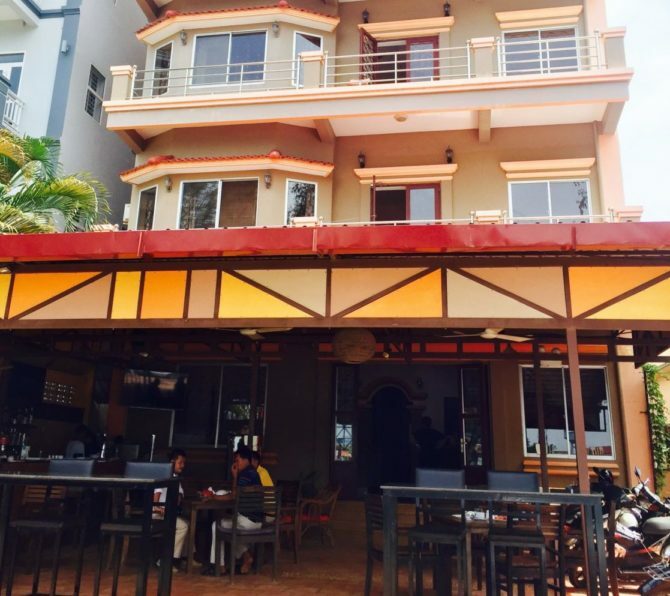 It’s one of the most popular restaurants in Kampot and serves a fantastic selection of Western and Khmer dishes. The prices are a little higher than some other places but after our amazing meal there I’d say it’s worth it. Dad had Sait Moarn Chantil (Cambodian Stir Fried Chicken, Vegetables and Cashew Nuts) for $6.75 USD (£4.76 GBP), Andy had Beef Tenderloin Kebabs for $7.75 USD (£5.47 GBP), and I tried their speciality dish Saraman (Beef, Tamarind and Roasted Peanut Curry) for $8 USD (£5.65 GBP). Initially, I thought the serving was small and suffering from food envy over the others piled plates, I asked for more. Big mistake, the dish was so rich I struggled to finish it. The serving size was clearly deliberate but was nonetheless delicious. We were impressed with the food, atmosphere and service; it definitely warrants the sparkling reviews. Razorbacks – this little American grill joint is tucked away to the right on the other side of the walking/ moto only bridge. Along with amazing grilled meat and fish, salads, pasta, sandwiches and a selection of sides and sauces are also served. We visited here on the recommendation from Siem Reap friends. It was virtually empty whilst we were there and the service was quick. I had a Smoked Catfish Burger, which although it may sound a little suspicious was fantastic, a little like jerky, at $4.50 USD (£3.18 GBP). Dad had Chicken on the Bone and Andy had a Pulled Pork Burger, they were both also $4 USD (£2.82 GBP). We also shared sides of Potato Salad and Coleslaw which were $1.50 USD (£1.06 GBP) each. This place is a hidden gem and great value for money. Rusty Keyhole – probably the oldest restaurant in Kampot, Rusty Keyhole, again on the riverside road is famous for its humungous ribs. We’d been recommended this place by numerous people over the years but had never tried it. This time we made a point of it to see if their ribs lived up to their reputation – I’m happy to report that they did. I’ve never had ribs like it before – instead of a rack of ribs with a thin layer of meat, this appeared to be the entire side of a pig! Andy and I opted for the half rack each smothered in their secret recipe sauce. They cost $6USD (£4.23 GBP) each and were massive, I’m glad we didn’t have a whole rack each as tempted because we’d never have finished them. There are other options if you don’t fancy ribs such as Chicken Pesto Pasta which Dad had for $5 USD (£3.53 GBP). bARACA – near the centre of Kampot is bARACA, a Belgium run Tapas bar which we visited with a group of friends early last year (2017). Serving delicious, inventive tapas at reasonable prices, the fun, yet quiet atmosphere makes this is a great place to spend an evening. I can’t remember exactly what we had but it was good and we thoroughly enjoyed the food and evening we spent there. There are several other places in Kampot that we’d have liked to try. These include Ellies Cafe, known for its breakfasts, cakes and vegetarian food and Divino, serving up Italian food. For more restaurant ideas have a look at The Culture Trip‘s post on their Top Ten Restaurants in Kampot. Nelly’s Bar – set on a corner with a view of the river this little bar is a great spot for some pre or post-dinner drinks. The staff are friendly, it opens late, and they serve good drinks – be sure to try the local Kampot Cider. Although Nelly’s is the only bar that we visited, the nightlife in Kampot has picked up over the last few years. There are now more options for drinking and even dancing – especially on the weekends. You can read more about these in Move To Cambodia’s post Dancing in Kampot. Kimly – about a third of the way along the waterfront from the Crab Market has an extensive list of fresh seafood. Prices are slightly on the high side but the portion size and quality justifies these. I took Dad there to sample the famous Kampot pepper crab. I’m happy to be able to report that it’s still as delicious as it was on mine and Andy’s previous visits. We each had a ‘normal size’ Kampot pepper crab (it was actually still pretty big) which was $8.25 USD (£5.82 GBP). As always it was sooo tasty but very, very messy! Be prepared to be up to your elbows in pepper sauce by the time you’ve finished! This is not the dish to choose if you’re out for a romantic meal! Remember to wash your hands before diving in or use some hand sanitiser. This is real ‘finger food’ and you don’t a case of travellers’ tummy ruining your trip unnecessarily. There were several other places in Kep that could be worth a look for food which Travel Fish have posted about in Places to Eat and Meet in Kep. Kampot Riverside Hotel has an ideal location on the Kampot riverside road with a great view of the river and Bokor Mountain behind it. 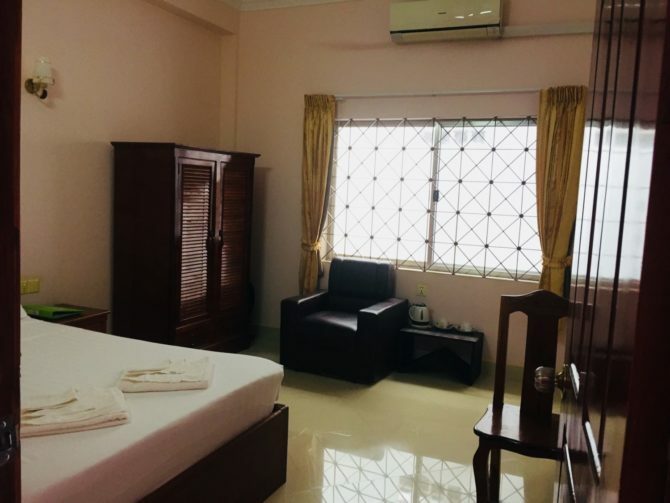 With prices ranging from $30 USD (£21.17 GBP) a night for a standard room to $45 USD (£31.76 GBP) for a Deluxe Queen or King Room, I would class this a middle range hotel (for Cambodia). The reception and lobby at the front of the hotel are reached by walking through the bar and restaurant area leading out onto the river road. We were a little late arriving but the Operations Manager – Phorl welcomed us cheerfully. He was helpful in resolving some initial confusion with our booking and soon had us checked into our rooms. Dad had a Standard room on the ground floor and we had a Superior room on the second floor. Our clean bedroom was spacious and bright with a comfortable double bed. It had an en-suite shower room with sink and toilet, a hairdryer, and complimentary toiletries. The room was set out with a wardrobe, desk and chair, armchair, and bedside table. There was also a small table with tea and coffee making facilities. At the end of our corridor, there was a shared balcony with a couple of chairs offering excellent views. We were happy to find the wifi was good and reached all areas of the hotel which was handy as that’s not always the case in Cambodia. Every morning we ate breakfast in the restaurant and this was included in the room price. There was fresh fruit, a choice of eggs with bacon, plus a baguette, tomatoes, fruit juice, and tea or coffee. It was more than enough to set us up for the day. We didn’t eat any other meals in the restaurant as we were out and about. We did enjoy a couple of beers there in the early evening though, it’s a great spot for sunset and people watching. The staff impressed us with their friendliness and professionalism, especially Phorl who went out of his way to ensure everything was o.k. for us. He was also more than happy to help us arrange our tuk tuk tour of the countryside. The day we left we also met the owner, Findlay who was also extremely friendly and helpful. We’ll definitely be back if we return to Kampot again. Andy also has a vlog Kampot Riverside Hotel which shows you around the hotel and gives a bit more detail. If you’re looking for something different to Kampot Riverside Hotel, there are also many other accommodation options. Some, such as Meraki are in quiet locations a little further out of town and are ideal if you’re looking to relax. There’s definitely something to suit everyone. We’ve never stayed in Kep so aren’t in a position to recommend accommodation there. There are, however, plenty of options available through a variety of booking sites on Hotels Combined. How to get to Kampot and Kep depends on where you’re starting your journey from. Remember bus companies and schedules are prone to change in Cambodia, so only take the below as a rough guide. Be sure to double check before finalising plans. The most common routes to Kampot and Kep are from Phnom Penh, Sihanoukville, and Siem Reap, by road or a combination of plane and road. Most buses, mini-vans and taxies can be booked from the majority of hotels, guesthouses and travel agencies or online via CamboTicket for convenience. Phnom Penh – It’s about a two and a half to three-hour journey by road from Phnom Penh to Kampot depending on your mode of transport. The main options are by bus, mini-bus (van), or taxi. Probably the best bus company to use is Giant Ibis which has a mini-van taking this route twice a day at 8 am or 2:45 pm for $9 USD (£6.35 GBP) plus a $1 USD (£0.71 GBP) booking fee for online bookings via their website. Giant Ibis doesn’t run directly to Kep from Phnom Penh but there are many other companies that do which can again be booked via CamboTicket. 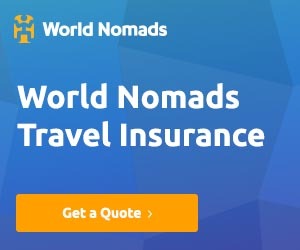 Alternatively, you can get a tuk tuk or taxi between Kampot and Kep for around $12 – 15 USD (£8.47 – £10.59 GBP) and $20 USD (£14.11 GBP) respectively. If budget isn’t an issue or comfort is your main priority a direct taxi from Phnom Penh to Kampot should cost from about $50 USD (£35.28 GBP), and to Kep from about $55 USD (£38.81 GBP), increasing depending on the vehicle and number of passengers. Again you can book taxis from your accommodation or an agency. Sihanoukville – It takes about two to two and a half hours to get from Sihanoukville to Kampot by road about three hours from Kep. There are mini-vans on both these routes from 8 am for about $6 – $8 USD (£4.23 – £5.65 GBP). These can again be booked online via CamboTicket or from your accommodation or an agency. A taxi will set you back about $50 USD (£35.28) again depending on vehicle and numbers. Siem Reap – To get to Kampot or Kep from Siem Reap you can either go directly (hopefully) by taxi or indirectly via Phnom Penh or Sihanoukville. The first stage of the indirect journies could be by bus or plane. By taxi it will cost from $75 USD (£52.93 GBP) and should take around five hours if it goes directly. Be sure to agree on a direct taxi when you book it though as many companies tell you it’s direct then go to the centre of Phnom Penh and swap taxis. This happened to us and added at least an hour to the journey and is frustrating, to say the least. If going via Phnom Penh often the cheapest way but longest is by bus. It generally takes around six hours and costs from between $6 USD (£4.23 GBP) and $13 USD (£9.17 GBP) if you book through CamboTicket. If you take an overnight bus with Giant Ibis it’s closer to $16 USD (£12.40 GBP). JC Airlines is also worth checking, although they can only be booked through the Ctrip website. You can also fly to Sihanoukville which is our preferred option if we can find cheap flights. I don’t recommend getting a bus or taxi to Sihanoukville first as these aren’t direct and detour via Phnom Penh, making for a long and uncomfortable journey. Once you get to Phnom Penh or Sihanoukville, the second part of the journey will be the same as one of those mentioned above. The best way to get about Kampot and Kep towns is by foot as everything is within walking distance. The riverside and surrounding countryside are beautiful and interesting so a nice way to spend some time is exploring by bicycle or scooter. You can rent bicycles from many hotels, guesthouses, and other businesses in the towns for a small fee. I’m not sure about scooters though as I don’t ride. Ask at your accommodation and they should be able to point you in the right direction for either mode of transport. 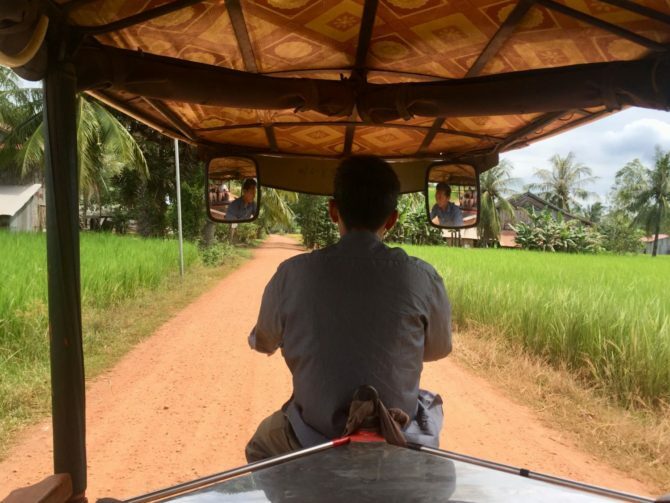 If you want to explore even further afield your best bet is by tuk tuk as it allows you to see more than by taxi; just be prepared for a very bumpy ride. The best way is to combine several attractions with a countryside tuk tuk tour as we did which should cost you between $25 and $30 USD (£17.64 and £21.17 GBP), depending on where you want to go. Our tuk tuk collected us at about 9 am which gave us plenty of time to see everything we wanted to. Be sure that your tuk tuk driver knows exactly where you want to go. For example, if you want to go to a specific pepper plantation make sure they understand upfront. If you’re not clear they’ll understandably take you to the places where they get the best commission. Sunset Firefly Cruise – a lovely way to spend an evening in Kampot is on a two or three-hour sunset firefly cruise. You can watch the sunset as you move upstream, then once it gets dark, if you’re lucky, you’ll get to spot glowing fireflies in the trees lining the banks. Many operators in town tout these cruises along the riverside so you can take your pick. One of the most recommended ones though is that offered by Captain Chims Guesthouse. For $5 USD (£3.53 GBP) you get a two-hour cruise with a beer or soft drink included. Watersports – many of the riverside guesthouses in Kampot offer a whole host of watersports for visitors to have a go at. These include kiteboarding, paddle boarding, kayaking, fishing and much more. Bokor National Park – once one of Kampot and Keps most popular attractions this 1,500 square km park is the home of Bokor Mountain and Hill Station. There is a 2,000 riel (£0.35 GBP) entry fee to the park, then there’s a windy road that snakes around the mountain to the top with some great views en-route. The Hill Station at the top is a collection of old 1920’s buildings including a casino, hotel and church. The best transport for this trip is by scooter, but you could also take a more expensive taxi. Tuk tuks aren’t recommended as they’ll struggle to reach the top. We’ve heard the buildings at the top are being renovated so you may find it’s lost some of its eerieness and charm. Having said that as we haven’t been there ourselves I can’t confirm or deny that. Popokvil Waterfall – set at the top of Bokor Mountain Popokvil Waterfall has an additional 2,000 riel (£0.35 GBP) entry fee. It’s really only worth visiting in wet season as in the dry season its just be a dribble. When there’s water in the waterfall you’ll find locals enjoying picnics and splashing around in the water. 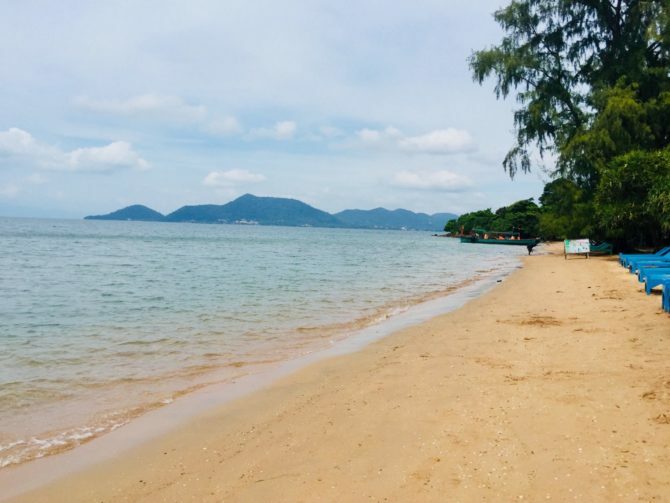 Kep National Park – overlooked by many, Kep National Park makes for a nice visit if you’re into hiking, although don’t expect anything too challenging. The entry fee is only $1 USD (£0.71) and there are several well-marked trails through the jungle including an 8 km circular loop. Along the jungle trails, you should see some of the flora and fauna of the park, including, if you’re lucky monkeys, squirrels, birds and butterflies. Have you visited Kampot and Kep? Have I missed anything there else there is to see or do off the beaten track there? Product Review Disclosure: Kampot Riverside Hotel provided us with a complimentary three-night stay. This did not influence my post in any way and as always I’ve provided a balanced and honest review. I can really recommend Kampot and Kep ! Thank you for this article. No worries – some of my favourite places for a break from Siem Reap. I love crab, so I’d definitely be all about visiting the crab market and eating as many freshly cooked crabs as I could. That alone would be reason enough for me to head to Kep to check it out. Me too – that was one of my main first reasons for visiting. I haven’t been to Cambodia yet but I would love to go! I like the idea of a tuk tuk tour, and a trip to the pepper plantation sounds fascinating! I would definitely check out the crab market too, that sounds delicious! It’s an amazing country – I highly recommend it. Tuk tuks are my favourite was of getting around in the countryside. Cambodia is still somewhere we have not yet visited. The Durian roundabout made me laugh. We do recall the durian smell from touring in other parts to SE Asia. 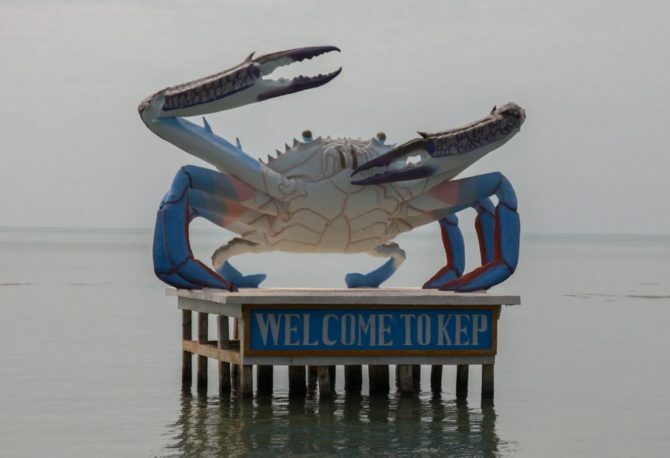 If the blue crab sculpture means there is lots of fresh seafood, we will definitely want to visit Kep and the crab market. A tuk tuk tour in the country would be so much more relaxing than our last one in Bangkok! Nice guide! Rabbit Island seems like a great place to spend one full day in!  It’s nice to see Cambodia outside of Phnom Penh and Siem Reap! Thanks – yes Rabbit Island was great for a relaxing day trip, beach time, BBQ and a bit of snorkelling. I missed both of these cities both times I was in Cambodia. I really love the kitschy stuff like the durian roundabout! It’s so funny! I would also definitely visit Koh Tonsay. It looks like such a gorgeous place! Plus, it’s so affordable to get there! They’re all definitely worth a visit if you ever return! 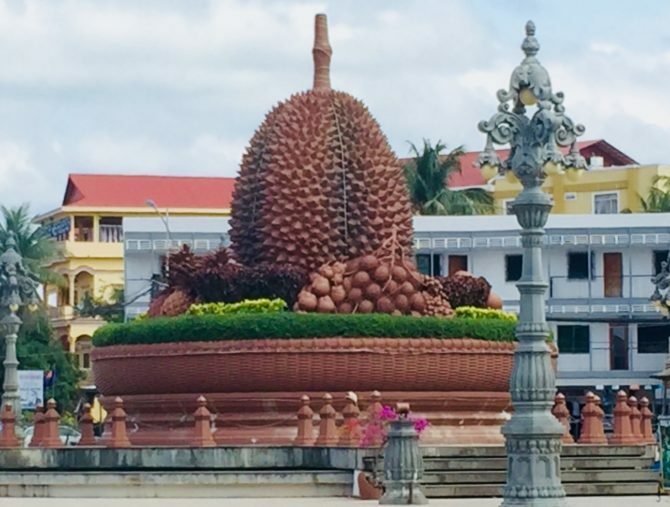 You see some wacky things while you travel, but why Kampot would have a durian in the centre of a roundabout escapes me. I love crab so my first stop would definitely be the market. Great tip about getting there early to see the catch arrive. That’s exactly the kind of thing that I enjoy doing. Apparently Kampot’s famed for its durian, which is why they put one on their roundabout…only in Cambodia ? Me too and the Kampot Pepper Crab is delicious…and very messy to eat! 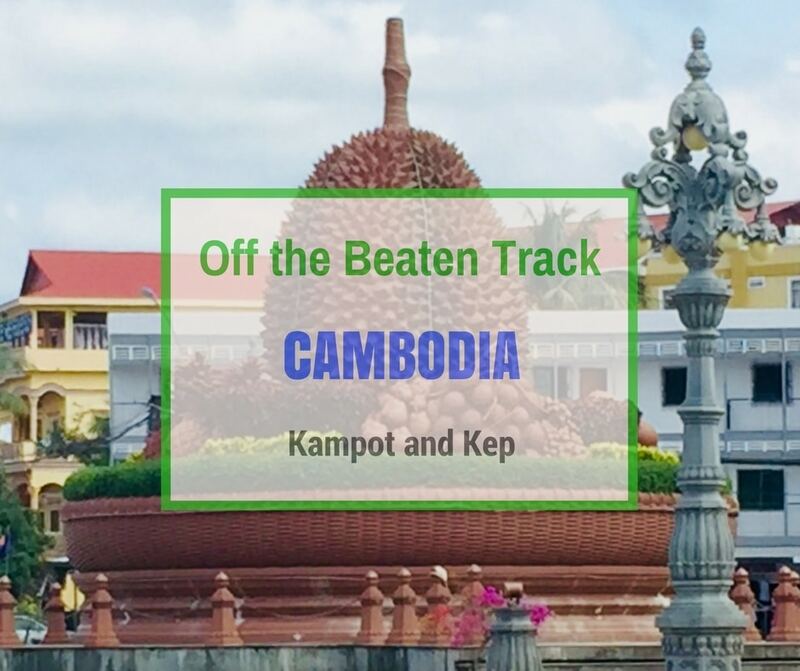 I have not heard of Kampot and Kep at all! I see why you call them off beat places to visit – they seem to not be touristy at all and that is a major reason for me to want to explore the area. A countryside tuk tuk tour sounds right up my alley. Also, Rabbit Island and Salt Flats look pretty cool! Fingers crossed they stay that way. They’re quite well known amongst the expat communities of Siem Reap and Phnom Penh as they know they’re lovely places to visit away from the hustle and bustle of the cities. However many people that come to Cambodia on holiday/ vacation are still not aware of them which is why I wanted to share this info. 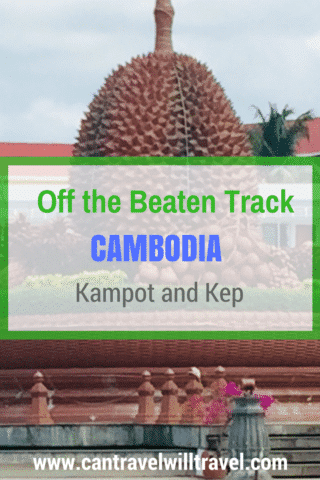 We are yet to make it to Cambodia and have to admit that we haven’t heard about Kampot and Kep until now. Kep and Kampot look like a quaint town, exploring the countryside on tuk-tuk sounds like fun. We have never been to a Pepper Plantations or even the Salt Flats so it would definitely be on the list. I love getting off the beaten path in South East Asia. We took a bike tour through Thailand and we saw so much more authentic culture than we saw in Bangkok our you’d see in Siem Reap. I love experience like this where you can enjoy the people and the landscape and not a developers idea of what paradise looks like. Me too – it’s my favourite thing to do, I did a bike tour through central Vietnam and it was amazing. Can’t wait to explore more off the beaten track in SE Asia.